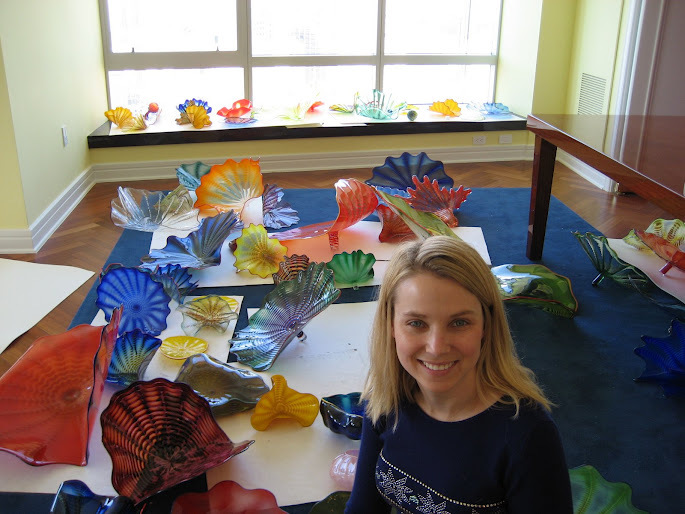 We had no idea until just the other day that Marissa Mayer, previously a top Google executive as well as their 20th employee and now the new CEO of Yahoo, was an enthusiastic admirer and collector of Chihuly glass. 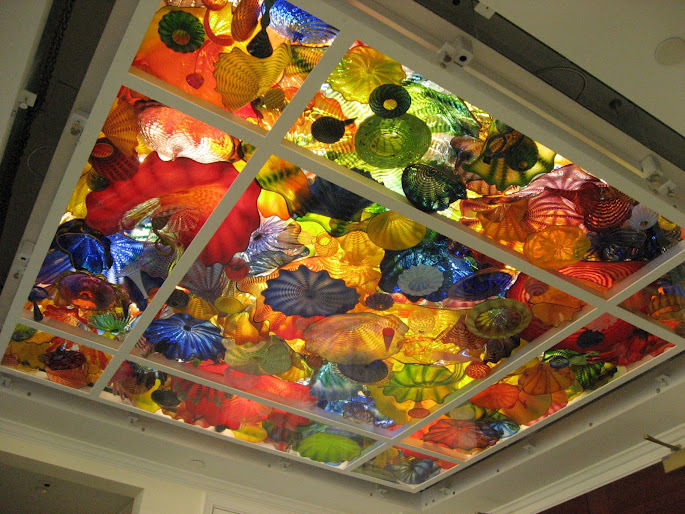 Check out her collection of photos that were taken a few years ago when she had a custom-made art glass ceiling installation which she had commissioned from Dale Chihuly installed in her posh penthouse condominium in San Francisco. The breathtaking installation was comprised of 400 Chihuly glass pieces – all fashioned in the shapes of ocean flora and fauna. The photos to the right show the finished product as well as Mayer surrounded by several of the separate pieces of art glass that made up the installation.